Facebook fan page will be set up with default layout and selected content from your website. Facebook Fan Pages attracts Facebook Users to “like” your profile – once they become a follower, they effectively become part of your list when you have announcements to make. 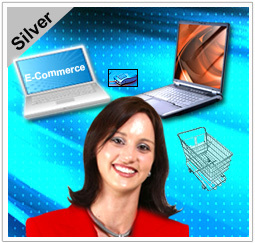 Silver E-commerce Web Hosting Plan. $19.99 $9.99 per month. Free three months of hosting with annual plan.